Thinking about a group trip to Budapest or elsewhere in Hungary? Did you know that groups of any size can take advantage of Hungary Group Travel discounts when touring the country? As well, if enough people are in the group, the group organizer can travel at a significant discount or sometimes even for free. Group Travel plans to Hungary, or any country for that matter, need to be planned with foresight to avoid one of those "one size fits all" itineraries. Individuals should have plenty of time to independently explore museums, shops, and other sights that might appeal to their interests, while having a balance of group time to share their experiences and enjoy a good laugh. A good travel expert can ensure your itinerary has a healthy balance of both. 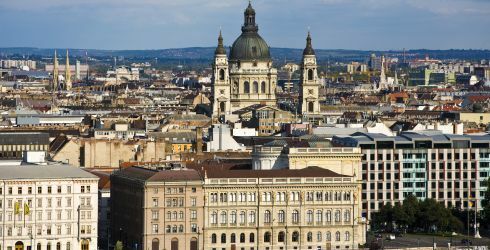 Finding the right travel professional that is the best to work on your Hungary Group Travel plans can be a frustrating search. Every group has with its own set of needs, desires, and potential issues, so working with an expert who has had not only firsthand experience getting groups to Hungary, but also knowledge around destinations in the country itself, is the best way to ensure your trip will be fantastic.